Home / Articles / Is Fluoride Good for You? Fluoride is present in our everyday lives. In fact, it is so ubiquitous that it is added to most of our public water supplies in trace amounts. With every sip of tap water, you ingest a tiny amount of fluoride since fluoride was first introduced into U.S. public drinking water in 1945. Fret not, water fluoridation is not harmful to you or your children. Fluoride has many benefits, but there are many misconceptions about what fluoride does and whether it is good for you. Fluoride has a unique ability to help prevent cavities and reverse tooth decay. Because of this, municipalities across the U.S. add fluoride to their water to help keep our teeth healthy. If you are curious about what fluoride is and why it is in your water, then you have come to the right place. In this article, our experts break down what fluoride is, and the benefits and myths surrounding it. Fluoride comes from the chemical element fluorine. It is a natural mineral mined from phosphate rock. Fluoride salts are typically bitter tasting, odorless, and either white or colorless. It can be found in streams, rivers, and lakes across the planet. It naturally exists in almost all water supplies globally. In fact, it is one of the most abundant chemical elements on the earth’s surface. All greenery and flora contain some fluoride because it so abundant. Vegetation absorbs the fluoride naturally through the soil and water. Fluoride is like other minerals such as iron and calcium since it is added to several products. Apart from being found in its solid state around the world, fluoride is also in several foods, drinks, and everyday items. For example, you can find fluoride in wine, baked potatoes, and even your Teflon pan. Fluoride, in small doses, is a harmless mineral that is crucial for healthy teeth and a beautiful smile. This is why it is added to U.S. public water supplies. The process of adding fluoride to water is called fluoridation. Yes, there is a very small amount of fluoride in your drinking water in the United States. This federal policy has been in place since 1945 because of the benefits that fluoride has for dental health. Fluoride has been proven to prevent cavities and reverse the early stages of tooth decay. The fluoride is added in trace amounts so that it is safe for consumption, but its levels are high enough for you to reap the benefits. In the U.S., the levels of fluoride in municipal tap water is less than the levels of fluoride in that of a cup of black tea or a handful of raisins. Public water supplies are regularly tested to ensure that the fluoride levels stay within a safe but productive range. Because of the closely tested and controlled nature of added fluoride in drinking water, any risks associated with fluoride do not concern the levels of fluoride in your water. Fluoride can sometimes get a bad reputation because of the amount of misinformation available today. To help set the record straight, our experts have laid out some of the most common misconceptions to debunk these myths. One myth is that fluoride causes cancer. Although we are not sure where this myth started, an abundance of scientific research has proven that this assertion is false. Over 50 studies have been done on the connection between fluoride and cancer since fluoride was introduced into public water. No study has found a link between cancer risks and fluoridation. 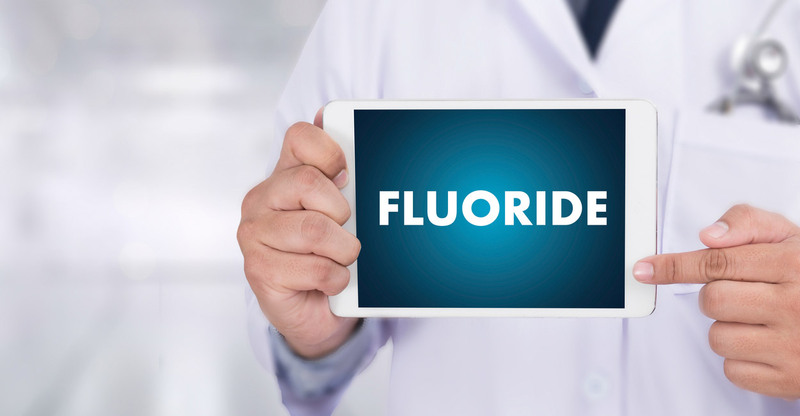 The assumption that fluoride lowers IQ is a myth that originates from a single article that has adopted the name the “Harvard study.” It is important to note that this study did not look at fluoride and IQ levels within the U.S. Instead, this study looked at older studies done in China, Mongolia, and Iran comparing IQ scores of children and the countries’ respective levels of fluoride. These levels were as much as 10 times higher than the levels of fluoride in the public water systems in the U.S. This study did not actually test any cause and effect relationship between fluoride and IQ levels. Fluoride is of the utmost importance for dental care because of its ability to prevent and repair cavities. Cavities are permanently damaged areas on the surface of your teeth that are caused by the bacteria living in your mouth. Without proper dental care, cavities can cause plaque build-up and tooth decay. The bacteria that causes cavities is essential for breaking down the foods you eat, creating an acid that damages tooth enamel. In order to protect your teeth, thorough dental care is needed, and that means including fluoride in your tooth-care regimen. 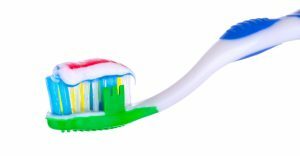 Our experts recommend that you brush your teeth with toothpaste that contains fluoride. Fluoride helps prevent cavities since it is mineral rich, protecting your enamel. It can also reverse the earliest stages of tooth decay which is why it is important to be exposed to enough fluoride in your day-to-day life. If you are not getting enough fluoride through your drinking water or toothpaste, your dentist may recommend fluoride treatment. This is only if you are at high risk for tooth decay since fluoride is one of the most effective treatments for cavities. Of course, there are some risks associated with fluoride. If too much fluoride is ingested, it can damage your teeth and bones. The former is called dental fluorosis and it is characterized by small white spots on teeth. Dental fluorosis is primarily a cosmetic problem. Skeletal fluorosis is a bone disease that is caused by the accumulation of fluoride in the bones over a long period of time. The symptoms include stiffness and joint pain and it can cause changes in bone structure. It is most common in areas where there are high levels of fluoride in the groundwater. However, World Health Organization estimates indicate that humans would have to consume amounts of fluoride far in excess of what is found in public water supplies. This means you can feel confident drinking our healthy and safe drinking water that is free from health risks or contamination.